Commercial Properties Development Group (CPDG), a new commercial real estate firm, has opened its doors in downtown Raleigh with two industry veterans leading the helm. With more than 35 years of combined experience and Certified Commercial Investment Member (CCIM) designations, Commercial Developer Kate Tillman Brown and Commercial Real Estate Advisor Beverly Keith have joined forces to create a comprehensive brokerage company to serve clients in the Triangle area and throughout the Southeast and Mid-Atlantic. The well-respected duo partnered to serve commercial real estate owners and occupiers, franchisors, developers, and investors at every turn, from land to lease to longevity. Together, with its sister-company Commercial Properties, Inc., a Triangle area real estate development firm founded by Brown’s father Brantley Tillman over 41 years ago, CPDG is poised to do better business, garner greater results and navigate exceptional investment outcomes. Principal, Land Sales & Development, CPDG | Vice President, Commercial Properties, Inc. 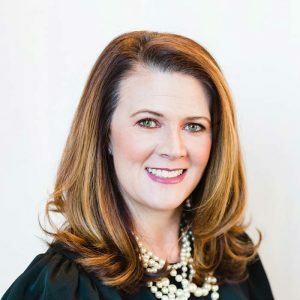 Working alongside her father, trusted developer and businessman Brantley Tillman, Brown has forged a successful career in real estate development and property management throughout the Southeast and Mid-Atlantic for more than 15 years. Throughout the years, she has honed the keen ability to identify opportunity gaps in target areas and implement strategic approaches to development that her investors appreciate. To date, Brown has co-developed seven neighborhood shopping centers in North Carolina, Tennessee, Pennsylvania and Maryland valued at over $45 million. She is in the process of developing a 56-acre, mixed-use property including apartments, climate-controlled self-storage, and retail and office space with outparcels in Clayton. At CPDG, Kate leads all development opportunities and investments and oversees project and construction management. With more than 20 successful years in commercial real estate and nearly 8 million square feet under lease and property management throughout her career, Beverly Keith has key insight into the needs of retail owners and occupiers, franchisors, investors and developers with interests in the Southeast and Mid-Atlantic. She oversees the company’s leasing, sales and property management for its retail assets including shopping centers and mixed-use properties and also directs strategic leasing initiatives for investors and developers.Keith has managed more than $14 million in leasing and sales throughout her two-decade career at various nationally recognized commercial real estate firms. 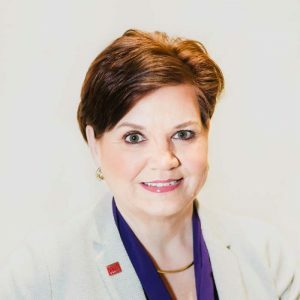 She also has extensive experience working with franchised-operations including Ace Hardware Corporation’s Eastern Division, where her team opened an average of 42 new stores annually providing commercial real estate support to 200+ store owners. Commercial Properties Development Group (CPDG) is committed to redefining commercial real estate from the ground up. The comprehensive commercial real estate brokerage firm offers professional services including development, investment sales, leasing, landlord/tenant representation, master brokerage, property management, and more throughout the Southeast and Mid-Atlantic. For more information, call 919.872.5702 or visit thecpdg.com.